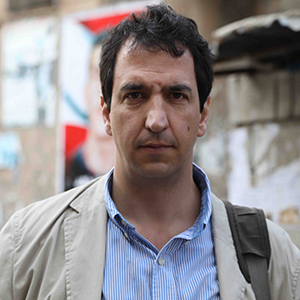 Michael Petrou is a historian and journalist who has reported on war and conflict across the Middle East, Africa and Central Asia. He was the 2018 Martin Wise Goodman Canadian Nieman Fellow at Harvard University. In 2017, he was awarded the R. James Travers Foreign Corresponding Fellowship, which he used to report on Syrian refugees in the Middle East. Petrou has won three National Magazine Awards. His book, Is This Your First War? Travels Through the Post-9/11 Islamic World, won the Ottawa Book Award. Petrou has a doctorate in modern history from the University of Oxford. He lives in Ottawa with his family.